It's a common question amongst those with unique and custom products that want to sell online: "How do I create an eCommerce store that allows me to sell products that are either custom or configurable?" Of course, the issues can be glaring. How is it that a website is supposed to support the millions of different permutations of products, calculate price, manage that custom order, and send the correct fulfillment data all in one automated process? Clarity heard these concerns, and delivered Clarity eCommerce to be able to handle it all. Depending on how you need to showcase your products, any of these options could work for you. We review the methods below so you can determine the best path for your business. 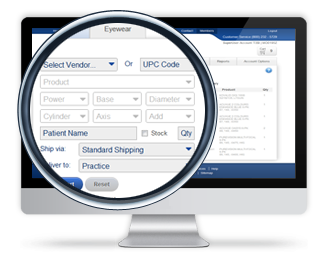 An eCommerce configurator & estimator allows your visitor to pick and choose the configuration of the product they want. This means they choose specs, features, and any other defining attributes of a product. The configurator will then model the product for the visitor, tell them how much it will cost along with other important information. They can then check out with their custom product. Some advanced eCommerce systems will even allow their visitors to download a file in which they will "build" their desired product, import it back to the site, and finish the checkout process. Clarity has also built sites like this. Feel free to check out Zebra Imaging for an example. This is a more basic approach. Essentially, the catalog will be separated out into categories which will filterable results based on attributes that the visitor selects. The visitor will be able to narrow down until they find what they need within your site.